The part where robert goes to the Kearny Public Library was interesting. There, at some local library, is the largest collection of foreign translations of Gone With the Wind. But even the librarians didn’t know exactly where it was. Like most of what Robert details in the book, most things are buried in the marsh. The chapter entitled Digging was probably my favorite. The search for the original Pennsylvania Station, dumped into the meadowlands, featuring architectural gems such as an interior design based off of the Baths of Caracalla, and eighty-four large columns in the form of traditional Roman design, were left there after it had been demolished for the new Penn Station. This is interesting to me anyway, that beautifully crafted infrastructure was tossed and such, but what was even better about this, was that the author had to definitely seek it out. Going off of old, undated newsprint with titles like “PENN STATION COLUMNS DUMPED IN JERSEY,” almost like the people at the time are unsure of its location. The best part of this ended with him finding a piece of a column in a truckers hideout. I thought it was a good story about how urbanization can only move so far, and how the environment can retaliate against those who disregard, or whomever regards it too much (Robert Swartrout, the poor sap). The Trouble with the Wilderness, I found, was much more philosophical in it’s tone pertaining to the “IDEA” of what the wilderness actually is. I found some good points in his writing, specifically the disparity he highlighted on the relationship between wilderness and wealth. That was what I had been thinking for a while; people with more access to expensive equipment and other things to help them brave the wilderness, often times loudly convey their personal connection to wilderness as being more intelligent, getting back to our essence. While those who are poor do not experience it in the same way, for a poor person who is always in the wilderness is usually a forager/hunter gatherer, which does not make they themselves believe they are poor, rather it is just their livelihood, how they survive. I do not know what is going on with the green box initiative, I asked in hamwill an was given a half-hearted reply by the lady, “They might be in soon, but you never know with them.” If they aren’t back soon I’m going to Inquire more. The green boxes have a lot of uses, besides just being able to take your food out of hamwill. Usage in single-use coffee cups on campus is pretty high, me being a participant. I want to look at ways this specifically can be approached in a way that does not remove the cups, but implement ways that they can be re-used with ease. Or possibly implementing something like they have in Smith, actual mugs. Idk, this is probably the one i’m going to focus on, but i’m still thinking about all the possible points of starting. Recycled art, or eco-art is pretty interesting. More so for the reason of collection; I am more interested in how artists acquire their materials, and how they are treated prior to implementation in a piece. This can apply to many things, such as recycled minerals, plastic collections, dead trees, animals (alive or dead), the landscape of an area, the soil, vegetation. This one is pretty vague, but I still think it would be a good idea. The title of the article grabbed my attention, mainly because it sounded wild. It is very interesting though, from the short article’s telling of the info, that noise pollution alone can have such an effect on the lifespan of zebra finches. Personally I forget about the daily assault on my ears from traffic I receive, but to have those noises shortening your life. The article touches on what is actually being monitored, Telomeres, which are caps on the ends of chromosomes that prevent gene damage, but did not tell much about potential mitigation strategies. Mainly just a copy+pasted version of the journal article, but it will get you to read the full one. Hello, my name is Armando Polizzi. Many, many people know me by my hair. I have been growing my hair out since last May, and I am not sure when I will get my next haircut. However, beyond what I look like, I am currently a Botany and Environmental Studies major. Since my first semester here at OWU, I have been a part of both the Men’s Ultimate Frisbee team and on Tuesday’s volunteered with Big Brothers Big Sisters (BBBS), where I have been paired with the same Little for 6 semesters. I have really enjoyed traveling with the Ultimate Frisbee team, and my highlights for that include Texas and Myrtle Beach. I am now the Captain of the club, and have been working toward success in the group. My time at Big Brothers allowed me to land a job at Camp Oty’Okwa, which is owned and operated by BBBS. This was probably the best summer of my life – I worked with many kids who I literally saw transform in as short a time as 5 days. Additionally, I was really close to the staff and overall the experience was incredibly positive. I am hopeful that I may return and use the knowledge I am learning to prove myself as an environmental educator. I found this book to be very interesting. It did at times read as if it were a text book but did describe the authors points. One thing that I did like about this book is the fact the author was to the point and not dancing around a point that he was going to make. In chapter 2 it seemed as if the author was describing a social Darwinist society by saying that poor people should fend for themselves and play the hand that they received. Another that I found to be interesting is when he brought up the point about how the population growth is directly linked to this idea of sustainability. Chapter 3 brought the idea of looking at nature with a monetary value which already do as a society. Chapter 5- 9 discuss the political ideals towards the environment. As well as how we should approach the topic. Also the risks and hazards that are associated with what to do to preserve or conserve. In this work we see again the attempt to define nature and pin down what exactly is. We have discussed this previously in the course. Later in the book, there is the discussion of uranium and the energy question is it worth the risk? I had brought this up earlier in the course to discuss the risks involved with nuclear energy which can be at time dangerous. The last thing that I found interesting about this book was E waste being dumped on poor countries. This can be very dangerous considering the health implications that go along with the components that are being dumped. Current Event- This pertains to the possible man made earthquake which could effect Oklahoma due to oil and natural gas extraction that we know as fracking. This article also talks about how the U.S. has already had over 220 earthquakes this year that could possibly be linked to fracking. If you want to know more about this topic visit Earthquakes. I found this book to be interesting, but hard to read because of the textbook-like format it was in. There was no easy reading per say, just facts on facts. A quote in the book that describes how I feel about conservation and the human-environment interactions is, “…true conservation is all about fostering human attitudes and activities that foster a working relationship with nature” (Coates, p. 56). Many believe we need to bring nature back to it’s original state, but it’s not possible. Our perception of the original version of the environment is skewed because alterations of the environment have occurred for a long, long time. “What man has not made, though if he made it long enough ago — a hedgegrow or desert — it will usually be included as ‘natural’ (Coates, p.3). For example, researchers have found sedimentary charcoal masses on land that the settlers believed was untouched when they first arrived. Thus the global focus should be on living in balance with the environment so human health and the world’s health are equally maintained. Am I wrong? Can we really return nature back to it’s original state? This quote really struck me, “man’s body made him part of nature, but his mind set him apart and equipped him to investigate nature’s working” (Coates, p. 5). In previous classes, we discussed how humans are a part of nature, because we’re an animal biologically. However, our intelligence and abilities set us apart from other organisms to alter the environment dramatically. I’m not saying that we are superior. This quote shows the difficulty in distinguishing and categorizing humans from nature or other life forms especially when we reference human qualities to nature. For example, describing a person as ‘good-natured’, ‘natural’ leader, or calling someone a ‘natural’ at something. A section I found interesting was the section addressing the harmful actions people in history did to the environment. Maybe this is just me, but I didn’t think that people in the past did as unsustainable practices as we did today. Back then even they were making an impact. The ancient Romans would used large amounts of wood to fuel the furnaces in the numerous public baths (Coates, p. 24). Also the heavily populated ancient cities, from Babylon to Athens, were very polluted from tossing human waste and garbage into the streets and rivers (Coates, p. 24). The American Indians are typically seen as a model for being environmentally stewards and “tantamount to modern environmentalists in their conscious pursuit of a lifestyle designed for ‘green’ ends” (Coates, p. 88). There is a controversial debate on how truly Indians were green. Since there is evidence of enough food produced by the Virginian Indians to supply the unknowledgable settlers for a couple of winters. While the settlers believe the land they observed when first arriving was “all natural”, the Indians actually created the treeless areas by setting fire to the grassland to prevent growth. Has there been any culture or populations that have not had some form of damage or alterations of the environment? Why have Indians been seen as the people who live a ‘green lifestyle’? 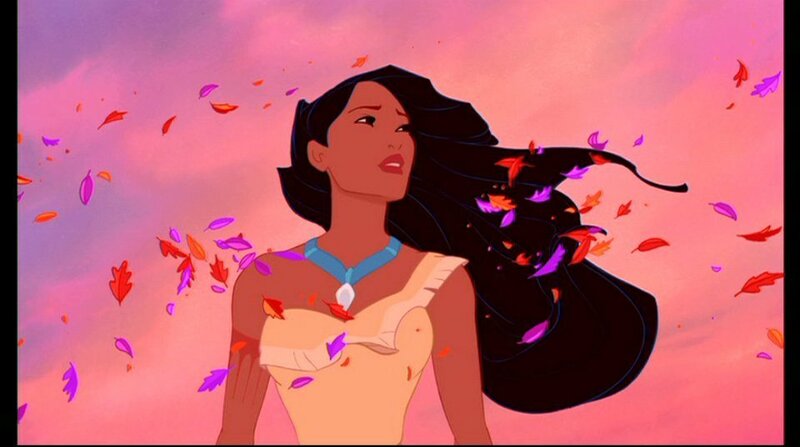 Like Disney portrayed Pocahontas as living in harmony and respecting nature. Has thing shaped some of our views? I will be late due to a beer brewing disaster! This link brings you to a very straightforward website on how to make your own hammock. When yoou think about it- Does it really make sense to buy a hammock if its something that would only take you a Sunday afternoon to complete? Google ‘hammocks for sale’, and the first 3-5 links will display for you, hammocks on sale from ~ $75-$400. Supplies could undoubtfully be replaced by cheaper, salvaged alternative materials, and with a little time, a you could make your own hammock. the instructions are illustrated black and white, nothing too complex. Really, it seems like tying it together is the hardest part. So what’s this gotta do with porches? I don’t know, I guess it contributes to the porches aura- however you want to define that, and if i had a porch, i’d simply want a hammock.